Are We Giving Up Too Soon on Carbon Capture? It's not just for coal: Natural Gas-fired power plants could use carbon capture technology, too. A prominent researcher says it would be foolhardy to abandon plans to siphon off the carbon dioxide from industrial emissions and store it underground. The concept, known widely as “carbon capture and sequestration,” or CCS, has been a slow starter in the U.S. In fact, worldwide, there are only a handful of working projects. “It never had a chance,” said Sally Benson, following a panel at a major science conference. Benson directs the Global Climate & Energy Project at Stanford University, and is a proponent of CCS — though she says companies that were leading the charge are now “wavering.” She told me that the 2010 UN climate talks in Copenhagen were a turning point; when it became apparent that governments weren’t about to put serious restrictions on carbon emissions, she says investors backed away from CCS, which is still in the pilot stage of development and very pricey. But Benson says even in a rapid retreat from fossil fuels, renewable energy sources and improved efficiency will only get us so far, so fast. We still have to deal with the “inertia” of a world that is still heavily dependent on fossil fuels. “We need to keep it on the table, “Benson told me after a panel at the AAAS annual meeting, which wrapped up this week in Vancouver. Benson says using CCS at just one (1,000-megawatt) coal plant would have the same effect on carbon emissions as if 2.8 million drivers suddenly switched from their gas guzzlers to hybrid sedans. She says there is “no scientific basis” for fears of a “massive eruption” of CO2 from storage in underground rock formations. Carbon dioxide is non-explosive but high-enough concentrations in the air can be fatal. 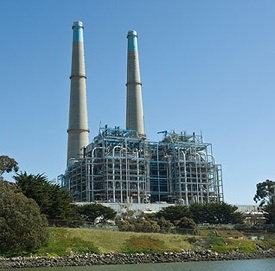 CCS has long been associated with efforts to produce power from “clean coal.” But with no coal-fired plants in the state, do Californians even have a horse in this race? Benson says yes. 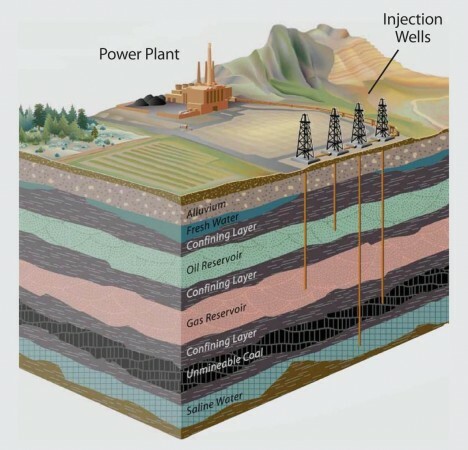 Most CCS concepts involve siphoning off CO2 from emissions and injecting it deep underground. “We have a lot of places where we could be capturing CO2 from natural gas plants,” she said, adding that CCS could also be deployed in biofuel production and the manufacture of hydrogen. Natural gas provides the largest single share of electricity in the state, nearly 40%. And some parts of California, notably the L.A. Basin, are still heavily dependent on coal power imported from neighboring states. Current CCS is confined to a few pilot projects, including the $2.5 billion HECA project to produce hydrogen in California’s Kern County. Benson says one advantage of CCS is that it could potentially make a sizable dent in total carbon emissions with relatively few projects.